Cotton pads: No big deal right? Wrong. The seemingly unimportant skincare accessory is about to change your skin—if you use them correctly. Charlotte Cho, the editor-in-chief of The Klog and the founder of Soko Glam says, "In Korea, savvy skincare users are not only sensitive about the textures and consistencies of their skincare products, but also the pads that they use to apply their skincare." She added, "It's true not all cotton pads are equal, with some being more effective than others." What's more, you can use cotton pads to DIY your own personalized sheet mask. That's the secret trick Korean women swear by. You can use your own essence, serum, or favorite lotion—just soak the pads in your product of choice and lay a few pads on your face for 20 minutes (or longer if you need some TLC). Cut a circular pad in half and do the same with your favorite eye-soothing offerings. It's easy, effective, and it'll save you a ton of money, as masks can cost you a cool $20 a pop (or more). Keep reading for the best Korean cotton pads on the market (and why you're going to love them). Klairs's Toner Mate 2 in 1 Cotton Pad ($7) are unique because they offer two different textures made for two distinct purposes. 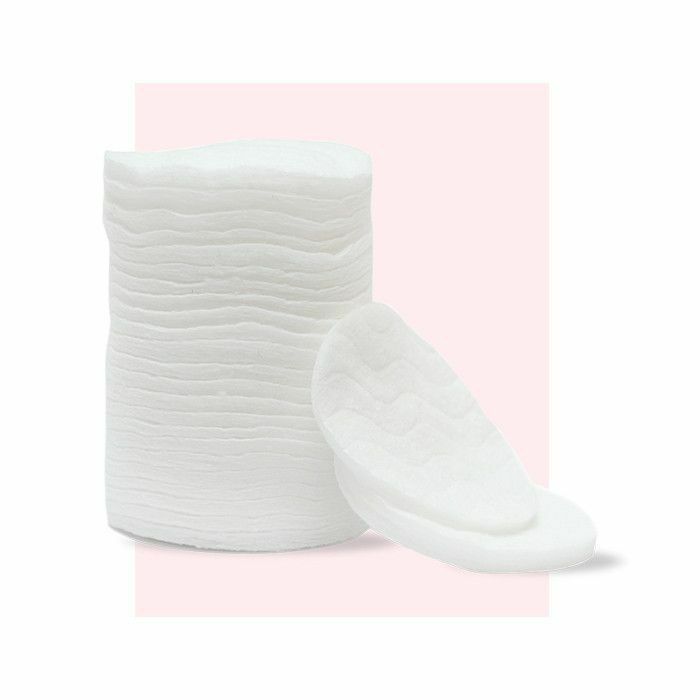 Cho explains, "The compressed cotton pads, made out of 100% cotton and flattened with high-pressure water, are perfect for gentle exfoliation and removing makeup or impurities. I recommend using these with makeup removers or cleansing waters to set a smooth canvas for skincare or makeup application." The sponge cotton pads are made out of pulp fabric that is designed to act like a sponge, allowing your toner or essence to transfer onto skin with minimal wastage. Cho continues, "Normal cotton pads tend to soak up the product, before applying it onto the skin. I recommend sprinkling just a few drops of essence or toner onto the pad and patting it gently onto the skin to see the best results." I can honestly say these pads have changed my skincare routine. They deposit product on your skin without soaking any of it up or wasting a single drop. They're better for your skin and your wallet. Plus, they're recommended by a K-beauty skincare expert (which is basically like a thumbs up from the skincare gods). Next up, six more beauty secrets Korean women know (but you don't).